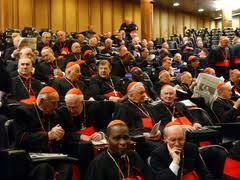 Now that Benedict XVI has retired, the attention of the Church turns to the Conclave, where 115 cardinals will elect the next Pope. The Vatican has not yet begun to prepare the Sistine Chapel for the Conclave, since the constitution states that no preparations can begin until the cardinals begin their General Congregation meetings. Those meetings begin on Monday March 4th. 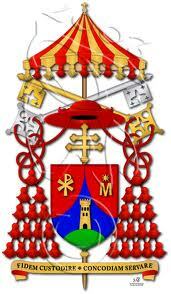 Seventy five cardinals already live in Rome. On Saturday, the Vatican announced that 66 cardinals who do not live in the city, will be arriving over the weekend or by early next week. The Vatican also announced that during this 'Sede Vacante' period, faithful will notice a small change during Mass. 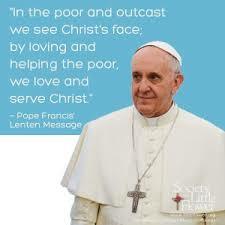 Priests will make no mention or prayer for 'Our Pope, Benedict XVI,' since he is no longer Pontiff. This will be applied universally. In Rome, there will be no prayer for 'Our Bishop,' since Rome's Bishop was Benedict XVI. Also a group of three contemplative nuns from Mexico, will be praying eight hours a day before the Eucharist in St. Peter's Chapel of the Blessed Sacrament. The nuns will be praying for the cardinals as they take on the responsibility of electing the next Pope.